Words. Explicit words. Lots and Lots of explicit words. Fresh Prince played well, but some people decided to bend them over without lube and give them a loss. Fresh Kicks crushed it on the base path, but the runs were not enough. Bakke pitched well, but it was not enough. The defense behind him was less than subpar (Tom, we are talking about you). Phil, Danny, and Lana crushed it at the plate with four of the six runs. After the repeated pounding by you know who, Fresh Kicks headed to the bar to be irritated and annoyed. A solid showing at the bar for Fresh Kicks allowed for multiple people to make the FINAL FIVE. As some veterans fell (Tom), some rookies decided to make a name for themselves (Bakke & Megan). As the flip cup team approached the table to face Sons O Pitches, they chuckled as they saw the fear in their eyes and poop in their pants. Fresh Kicks took care of business per usual and won 3-1. 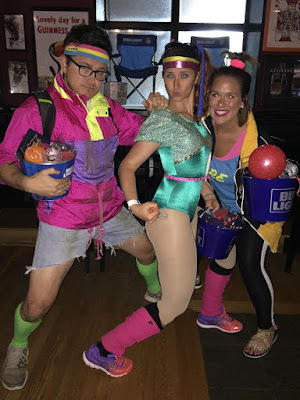 For the second week in a row, Fresh Kicks won best dressed as Amy, Shannon and Cory all took home the prize.